The Symphonia is a new ‘super high A’ wing from a new brand called Phi. This suggests it offers EN-A passive safety but also high levels of performance and energy. I’d flown the Phi Symphonia already in winter conditions and was impressed with it. We wanted to know how the Symphonia would behave and perform during long cross country flights in thermic air. So Nancy and I took it to the Cauca Valley in Colombia to test it thoroughly in summer XC conditions. 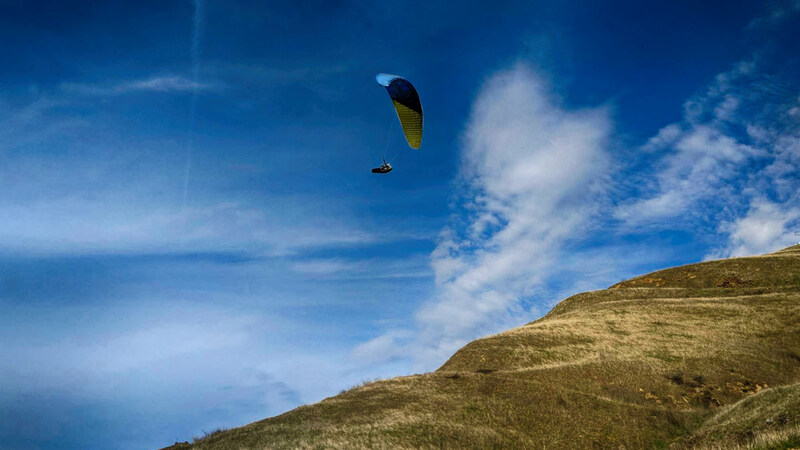 Hannes Papesh was the designer for Nova for over 25 years, and as such has been responsible for many big steps forward in paraglider design, like diagonal ribs and the massive reduction of line consumption. He has been a champion of getting more performance out of safer lower aspect wings with Nova’s Mentor range. 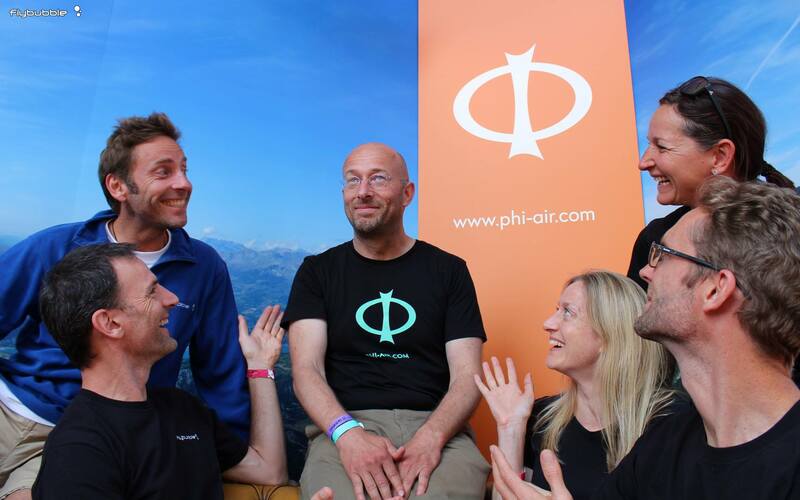 The Symphonia is the first release of his new company Phi. This wing is kind of in its own class: an EN A wing not aimed at beginners. It’s really meant to be a second or third glider. 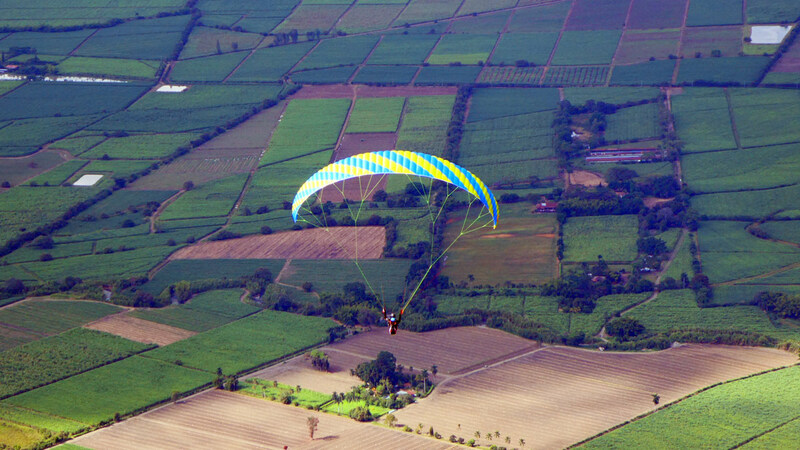 I flew it in thermic, sometimes turbulent conditions, and was very impressed with its performance and handling. The Symphonia is like no other EN-A wing I’ve flown: it has more dynamic feeling, more agile handling, it is more responsive, gives more feedback, it has faster trim speed, faster top speed, and more glide. It’s also the best and most fun EN-A wing I’ve ever flown for wing-overs! It’s not a hot or unstable feeling, it gives you the reassurance of a true EN-A wing, the confidence that you can feel it’s sitting nicely above your head and stays in control. It bites nicely into thermals unlike some other A class wings which hang back. The Symphonia has a lot of passive safety but it also has a reasonable amount of feedback and energy about it. Some ‘high B’ wings give me the impression of C class wings that have been squeezed through the B tests. With the Symphonia I don’t feel the same way, it’s not a B that is somehow oddly in the A class. When I tested it with collapses and manoeuvres it flies confidently and offers the passive stability of a true A class wing. The main reason it’s not aimed at beginners is that it has very responsive handling, with relatively short brake travel in the main handling area (the stall point is much further down), so if you put in a heavy input it will react to it and build up energy. It seemed to require input in turbulent air, but you can actually leave it alone. You have to relax a bit and let it talk to you, you don’t need to be completely ‘on it’ with active flying, as you do with hotter wings. I was really impressed with how it responds to collapses, even inducing big collapses, when I went ‘hands up’ and did nothing it recovered by itself. Because it has more speed and energy it’s quite dynamic, but it pops out and flies off very well. Phi Symphonia: Who’s it for? For a pilot stepping up from an A class glider, the Symphonia is an excellent progression: you’ll notice significantly more performance and agile handling while retaining the safety. A pilot flying a current low or mid B wing will not lose out on performance or handling agility – in most instances they will still gain in both areas – and will benefit from improved safety. A pilot flying a current top-performing high B wing will lose out a little in performance, and in some cases (not all!) they may find the handling a bit less dynamic and the feedback a bit more dampened, however they will of course benefit from improved safety. Although not aimed at beginners, an ‘ambitious’ new pilot with good skills and some finesse could go for the Symphonia as their first wing – in much the same way as some talented new pilots buy a low B glider after leaving flight school. 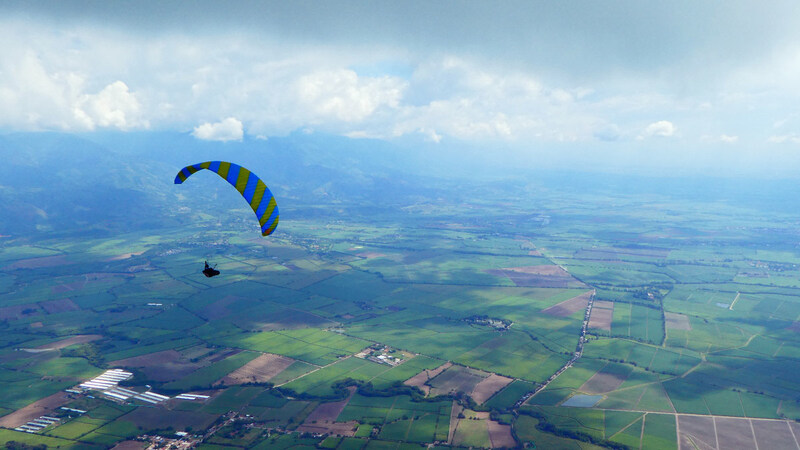 It’s a semi-lightweight glider that’s built for general use, which also makes it a great option for hike and fly; the size 22 I flew is only 4.5kg for a 26m2 wing! It’s also compact, and fits nicely in my new favourite concertina bag, the Gin Concertina Compress Bag (3.0m size). Every now and then a new wing comes along that is so unique and extraordinary that it totally blows away its class, setting a new, much higher standard. In my opinion, the PHI Symphonia is that wing, and it has shattered what we think of as the EN A class. I am the happy owner of a Symphonia size 22 (75-95 kg) flying it at between 86 and 88 kg full up with a pod harness, a Kortel Quick 2 with pod. When I first received the wing, I put a few short flights on it and was excited with how it felt. 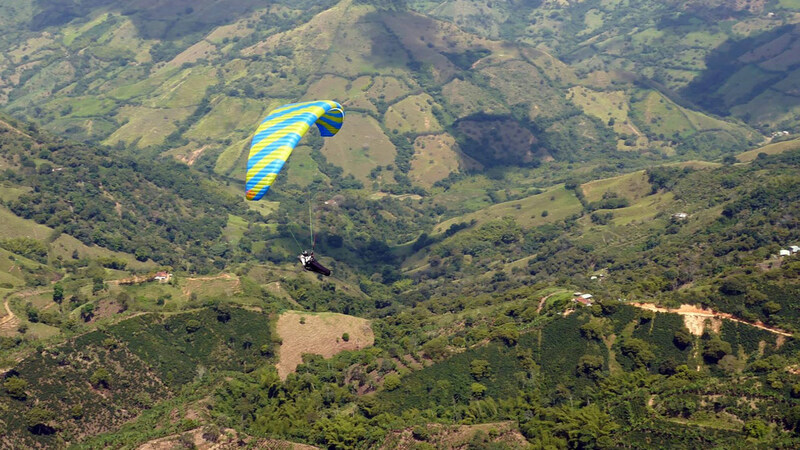 Then I took it to Roldanillo, Colombia where I flew it for about a week in all conditions from strong thermals to light conditions in shaded skies and put in over 10 hours on the wing. I was blown away by how well it did. To backtrack a bit, I am an experienced pilot who has flown a number of different C wings over the years, but having firmly entered the Senior Citizen Class and the Weekend Warrior Class, I decided to move down in wing class from my Delta 2 C wing to a B wing as a proactive step. I recognized my skills weren’t what they used to be, and while I wanted to keep flying, I wanted to try to also increase my passive safety. My first B wing was Mentor 4 light, and despite excellent reviews by others, I found I disliked the wing. From there I stepped down again to the Ion 4 XS, which is an excellent low EN B with pretty good performance. However, I did not like the handling and having flown higher class wings like the Delta 2, I found the wing a bit too dampened. It was difficult to feel the air and know what it was doing. I wanted something more. Enter the PHI Symphonia. Intrigued by the marketing and first early reports, I decided to give it a try. My first few flights on it were surprisingly good, and I found the initial flights and handling absolutely delightful. 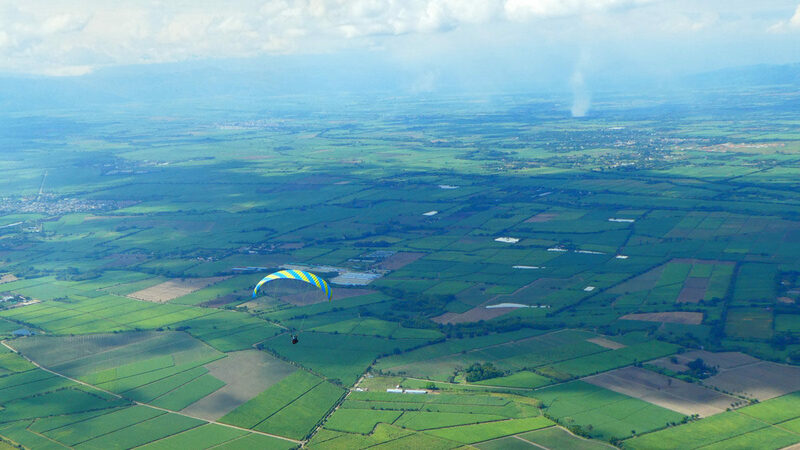 But I would know more when I took it flying in Roldanillo, Colombia. In my opinion it was amazing. This wing is not the old type of A that was so dampened that it was a flying mattress with truck like feeling. Stable, and basically safe, the old A wings were dull and dampened, but just the thing for students learning the ropes. The Symphonia is NOT the old type of A wing. For me, the one of the best things about the Symphonia is the handling. The brakes are fairly light, but direct and responsive. It turns quickly with just a bit of brake input, but is not overly reactive. It can be turned flat, or with a bit more weight shift and a bit more brake if needed, it can be banked up nicely depending on what you need. It is NOT clunky and is surprising agile. It does move around a bit more in the air than the “old type of A”, but that means I could easily feel what the air was doing. It pulled toward thermals and entered them without pitching back, and then resisted being kicked out. But on the other hand, it was not too chatty. For me, and my flying level, it was just enough information that let me know what was going on, which direction the thermal was, and where the lift was. It thermaled extremely well, biting into the lift in both light and strong thermals. I had some excellent flights on it, and on one heady day, spent a lot of the time 500 to 1000 feet above much higher class wings I was flying with. In turbulence, it does move around a bit more than the Ion 4, but not so much that it was disconcerting. I had only one small asymmetric when I hit the edge of a very strong thermal, but the wing just whacked in and out very quickly and that was that. Overall the wing is really fun to fly and still is relaxing in the air. I haven’t enjoyed a wing this much in several years. It is remarkably delightful and put the smile back on my face again. The glide seemed surprisingly good. Flying next to an Epsilon 8, a Swift 4 and a Rush 4 for the entire week, I never felt disadvantaged at all. Speed bar was easy to push, and on 1/3 to ½ bar it really sped up without heavy sink. It was extremely impressive. In my mind, (very subjective of course) it performed as well as the Swift 4 and Rush 4 wings. Basically I was amazed by how well it did, and others commented on it also. One day, I did see another Symphonia, and he was at cloud base and seemed to be doing extremely well. Sometimes the hype and marketing of a wing are great, but when you buy the wing you found it didn’t fit your type of flying, or didn’t quite live up to its advertising, or the reviews didn’t talk about its little quirks. This was not the case for me for the Symphonia. It has lived up to everything that they said. It appears to have the passive safety of an A, but the performance is outstanding, probably somewhere between a mid-B and high B. This glider has shattered what we used to think of as the A class, and is truly a masterpiece. It is an exceptional wing. Since I flew the Ion 4 for over year and a half before I purchased the Symphonia, I have the experience to compare the two wings. First, the Symphonia has much better overall handling in general. It feels the air more effectively, climbs better, and bites into the thermals better. In light lift, it is much, much better than the Ion 4, sniffing out and staying in the cores with good floatability. In my opinion, the Symphonia’s overall glide and performance is at least as good, and in my opinion, greater than the Ion 4. Of course, wing performance is fairly subjective, but when you fly one wing a lot, and then change to another wing in various conditions, the differences tend to stand out. I am extremely, extremely impressed. It launches very easily in light winds and can be controlled well with A’s and C’s in strong winds. But its strong point is the handling which is absolutely SUPERB. It just is a delight in the air. The wing is responsive and the brakes are light and linear. You can turn it easily either flat or banked up. I haven’t liked a wing this much in a long, long time. I immediately felt at home on it – I absolutely LOVE this glider. Want to see more? There’s no better way to support our efforts than buying from us. We’ll ensure you get great service! 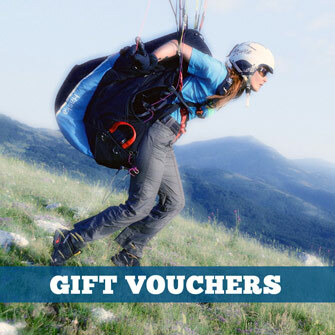 Choose from our huge range AND enable us to produce more videos and articles to benefit the freeflight community.